There is something beautiful about the shapes of classic antique styles. But mixed together with a bright, fresh, flat simple color, what was once antique becomes clean, minimalist, and modern. This design aesthetic is echoed in my line of functional LEGO lamps. 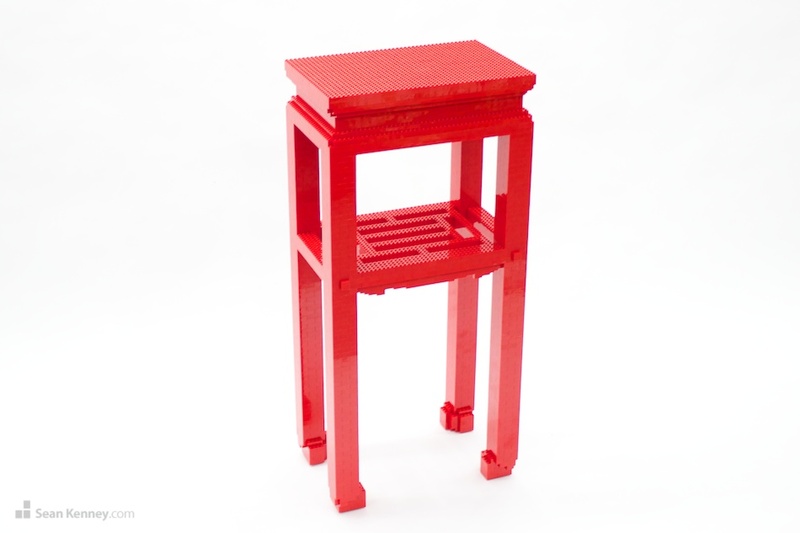 Functional, life-size entry table made entirely with LEGO pieces; a modern take on traditional Chinese furniture design. Measures 10" x 15" and 32" tall. Usually ships in 7 days. The legs are internally reinforced with a wooden frame to prevent damage, and the piece is designed to hold up to 50 pounds of weight. Each is handmade and signed by the artist.